Team - Leadership Team - Tres Amigas, LLC. 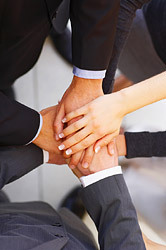 The leadership team includes individuals who are integral to the success of Tres Amigas. The team has a long and proven track record both in project development and operation.